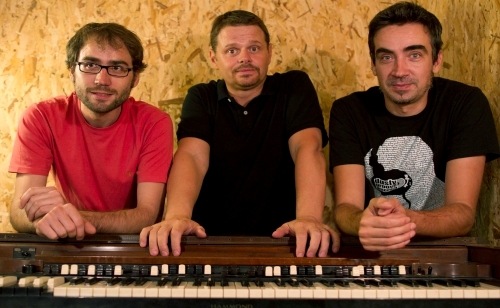 Blue Mode Is Chip Wickham’s (centre) new soul-jazz trio featuring Gabriel Casanova (Hammond) and Javi ‘Skunk’ Gomez (drums). From the UK’s unofficial capital of all things soulful…Brighton! Many years spent in Manchester and Madrid. Chip now resides in Doha (Qatar). Take one of the funkiest flutist nowadays, add a crazy Hammond player and one of the heaviest drummer’s and you have a beautiful trio playing soul jazz like back in the day. These guys ain’t no joke, they’re the real deal, they know how to cook the hard way. This is the debut album from soul jazz quartet Blue Mode. The full spectrum of soul jazz & jazz funk are delivered with gusto, with heavy Hammond B3 organ grooves and hollow bodied Gibson guitar charged original songs evoke the familiar sounds of Grant Green, Jack McDuff, and Jimmy McGriff. In fact, all of the original tracks conjure up familiar sounds that might be found on a “LOST” Lost Grooves from Blue Note or a Prestige release from ’69 to find something comparable. Recorded in 2014 in Spain, this funky soul jazz quartet is led by sax and flute maestro Chip Wickham and driven by its Hammond B3 grinder (Gabriel Casanova) and charged by Gibson guitar (Tolmo Fernandez), with funky beats provided by Javier ‘Skunk’ Gomez on drums and special guest David Romano on congas. The full spectrum of soul jazz sounds are delivered here with uncompromising musicianship and talent, only fitting for a release in 2015. Blue Mode’s cryptic rendition of Nirvana’s Smells Like Teen Spirit aside from being a stone groove on a classic cut, slices through genres and musical eras like a hot knife through butter. 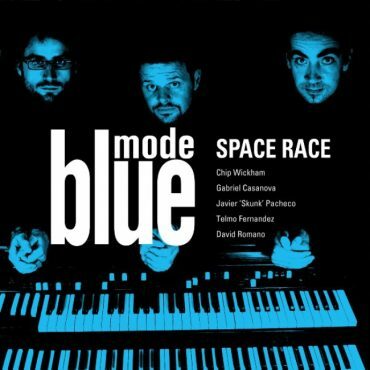 DJ Craig Charles proclaimed Blue Mode’s Space Race to be one of his favourite releases of 2015 on his BBC-6 music Craig Charles Funk and Soul show. This album is a must for any serious collector’s of Soul Jazz and Jazz Funk albums. *Smells Like Teen Spirit – master license clearance only.